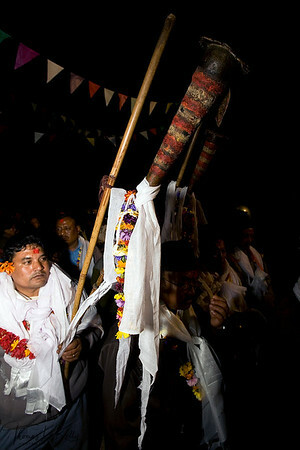 Swetakali Jatra festival is celebrated every 12 years, and the festival includes all the Hindu deities such as Ganesh, Kumari, Bhairav, Swetbhairav, Bhramayani and more. 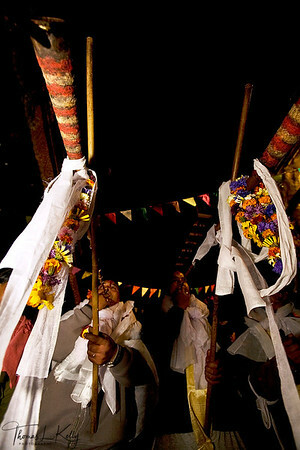 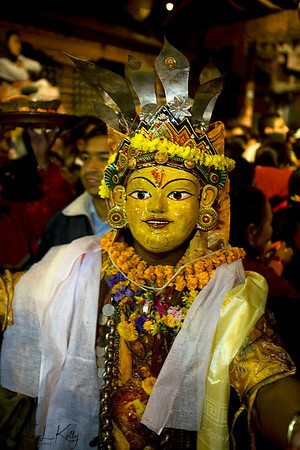 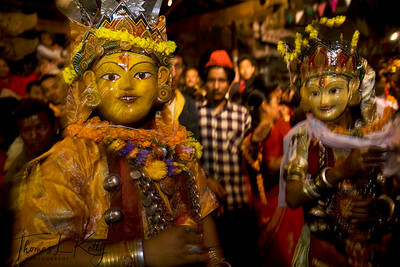 The first day of the festival includes the travelling of deities to the Taleju Temple. 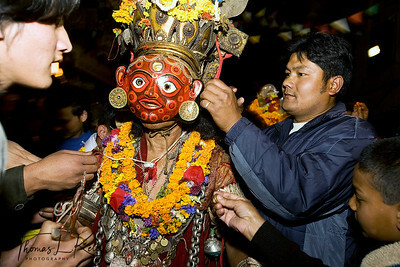 During the second day dances are performed in the Taleju Temple premises, then the group will travel to the Kumari House on the thirrd day and perform dances in Hanuman Durbar Square. 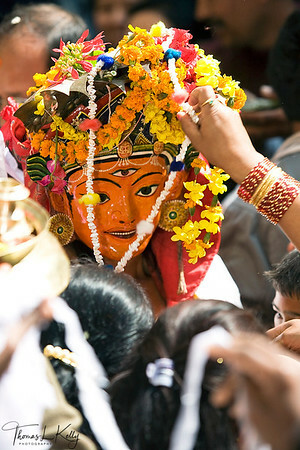 Finally on the fourth day they return back to the Nardevi. 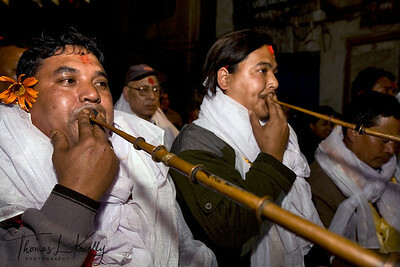 This festival was started by Kalu Pandey, as the legends say. 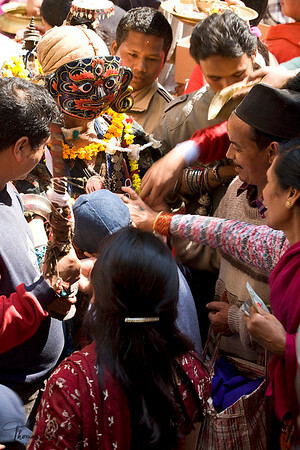 People dress up as the deities escorted by devotees towards the Taleju Temple during the Swetkali Jatra. 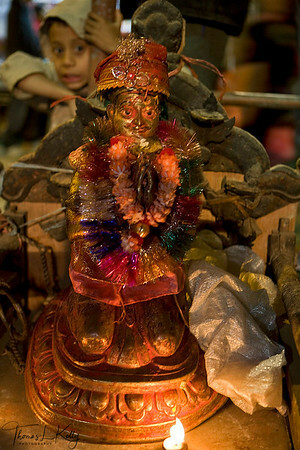 Kathmandu, Nepal. 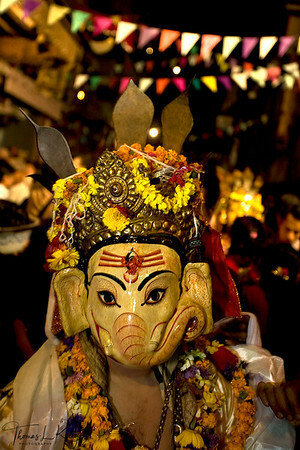 This festival is celebrated every 12 years, and the festival includes all the Hindu deities such as Ganesh, Kumari, Bhairav, Swetbhairav, Bhramayani and more. 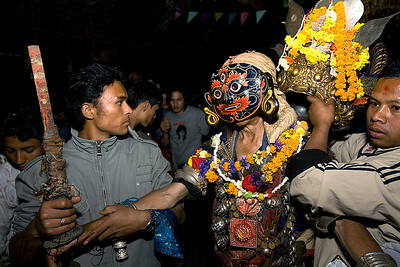 The first day of the festival includes the travelling of deities to the Taleju Temple. 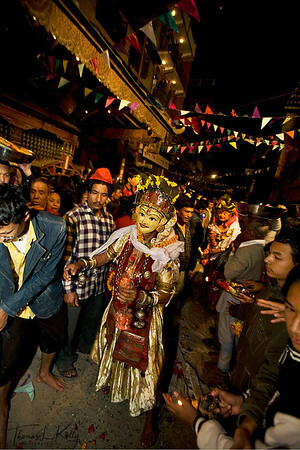 During the second day dances are performed in the Taleju Temple premises, then the group will travel to the Kumari House on the thirrd day and perform dances in Hanuman Durbar Square. 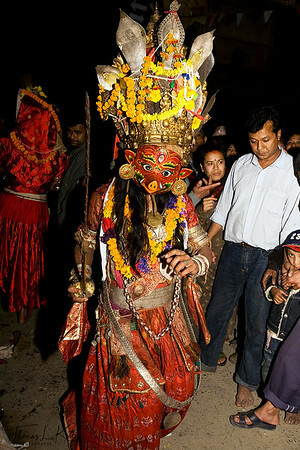 Finally on the fourth day they return back to the Nardevi. 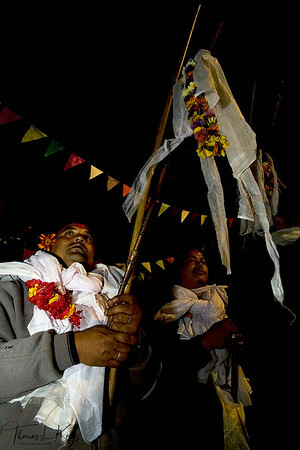 This festival was started by Kalu Pandey, as the legends say. 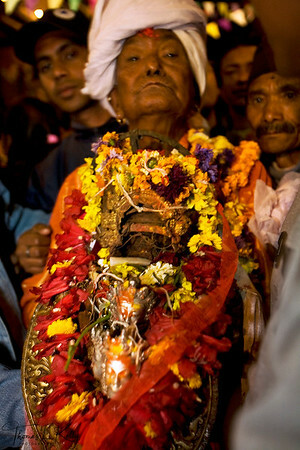 Hindu devotee propitiate Hindu god during the Swetkali Jatra. 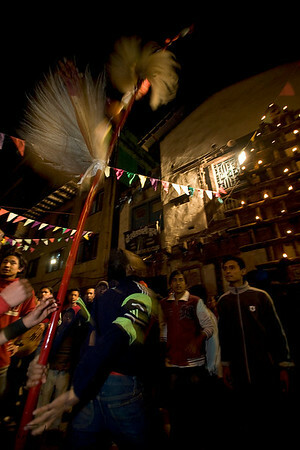 Kathmandu, Nepal. 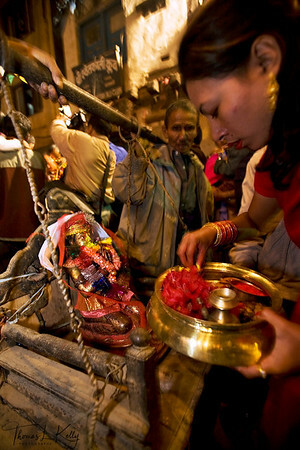 This festival is celebrated every 12 years, and the festival includes all the Hindu deities such as Ganesh, Kumari, Bhairav, Swetbhairav, Bhramayani and more. 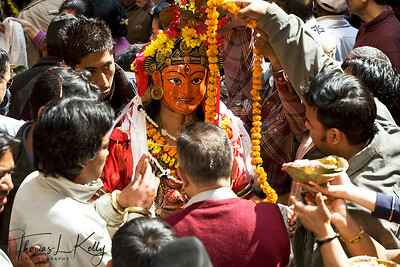 The first day of the festival includes the travelling of deities to the Taleju Temple. 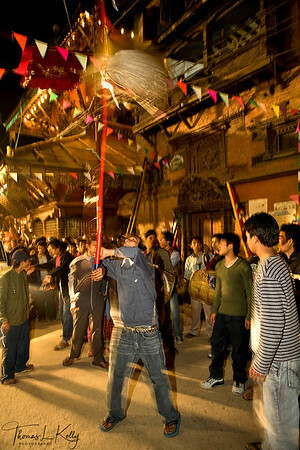 During the second day dances are performed in the Taleju Temple premises, then the group will travel to the Kumari House on the thirrd day and perform dances in Hanuman Durbar Square. 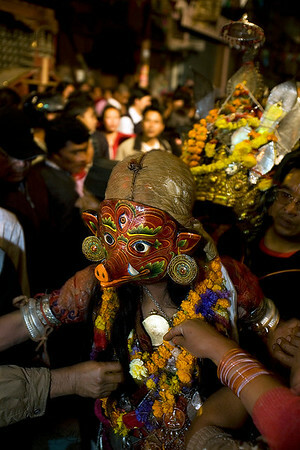 Finally on the fourth day they return back to the Nardevi. 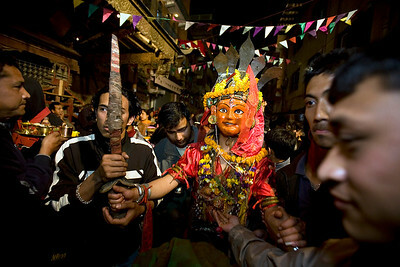 This festival was started by Kalu Pandey, as the legends say. 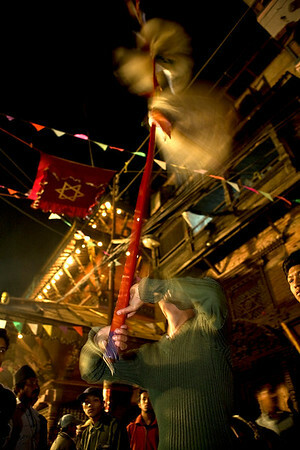 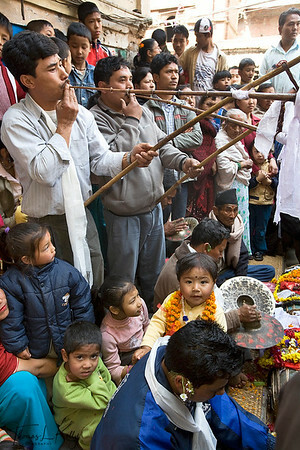 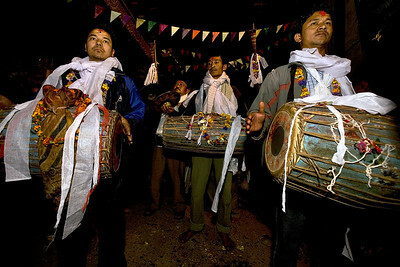 Newar devotees play traditional music instuments like dhimey drums and long horn during the Swetkali Jatra. 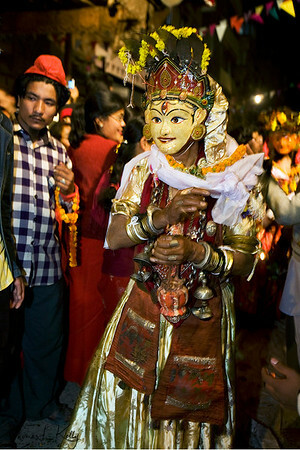 Kathmandu, Nepal. 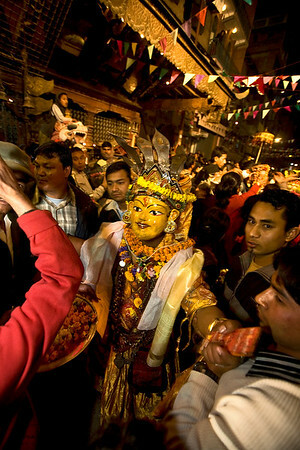 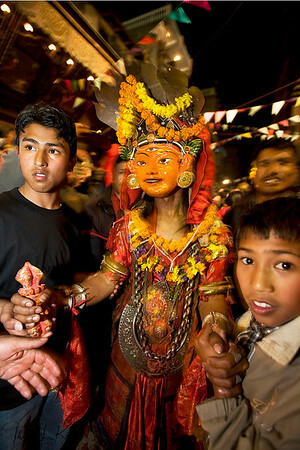 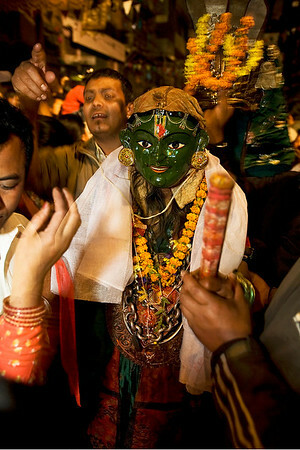 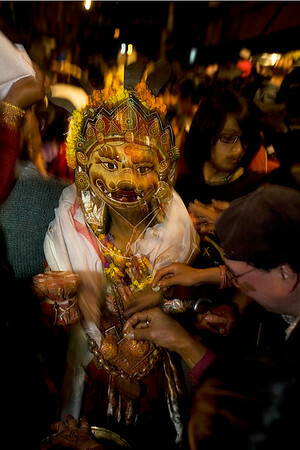 Devotees attend the Swetkali Jatra at the Taleju Temple in Kathmandu, Nepal.